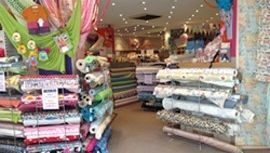 The Fabric Shop Ltd stock a vast and varied range of fabrics for all your dress making needs at both our stores (Worthing and Burgess Hill). Contact one of our stores today to see what we have in stock. 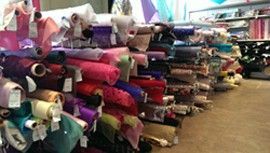 At the Fabric Shop Ltd you will discover all the fabrics that you will need to make that Special Dress, this includes: Silks, Voiles Satins and Velvets. We also stock a range of Bridal Pattern books and satins. Speak to one of our staff for more info. 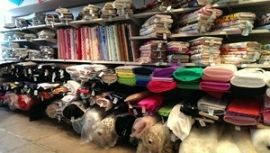 You will discover a fantastic choice of fabulous fabrics for all your dress and costume making needs at The Fabric Shop, including cottons, fleece, furs, denim, Lycras. We have an enormous range of accessories to make that outfit complete. We also stock a comprehensive selection of patterns. At both of the Fabric Shops you will discover all the fabrics that you could need for your craft past time. We carry a vast selection of fabrics including felts, plastics, American craft cottonsand Fat quarters for quilting. We always have stock of canvas, calico, muslin and a host of hard to get hobby fabrics. Contact us today to discuss your project. Our staff are on hand to advise you with your choice of material and how to get the results you want.